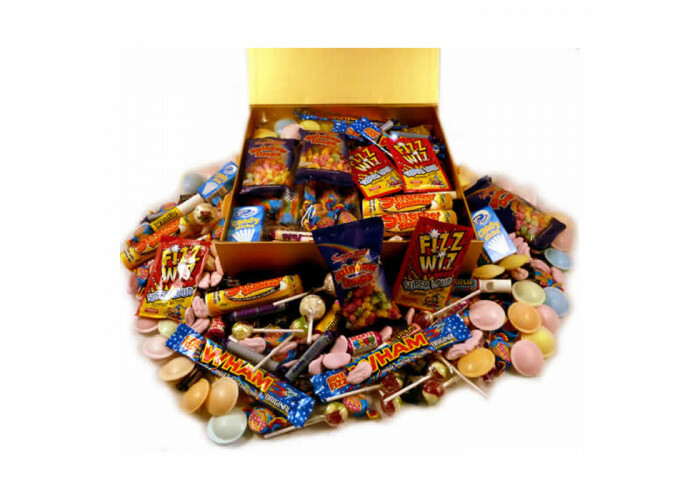 A Personalised Large Luxury Box of Retro Sweets - This one is maHOOOOOsive! A beautiful gold gift-box of nostalgia, finished with a bow and jam packed full of all the old favourites and we are proud to say that it is utterly FABULOUS!!! 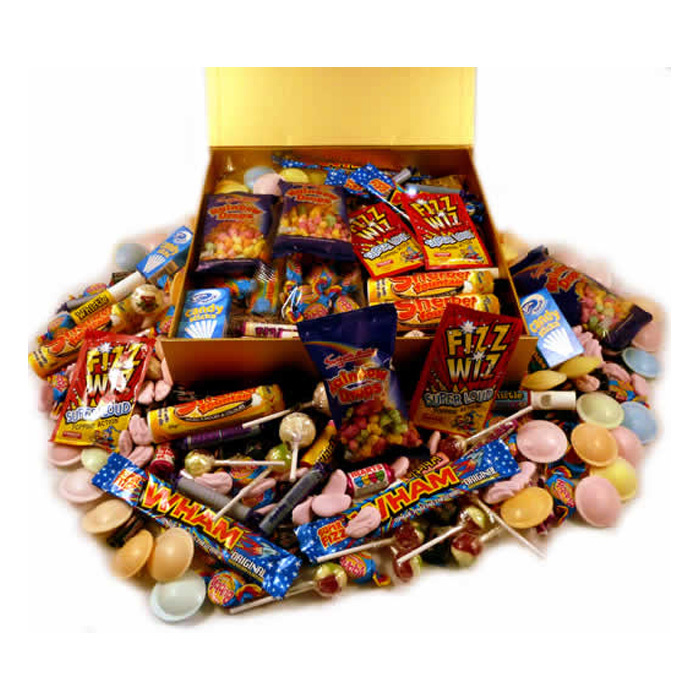 It is the ultimate gift for someone who loves a bit of nostalgia - .and has a serious sweet tooth - and you will become their favourite person EVER! What a treat! GAZILLIONS of yummy sweets - it'll last for ages!!! !